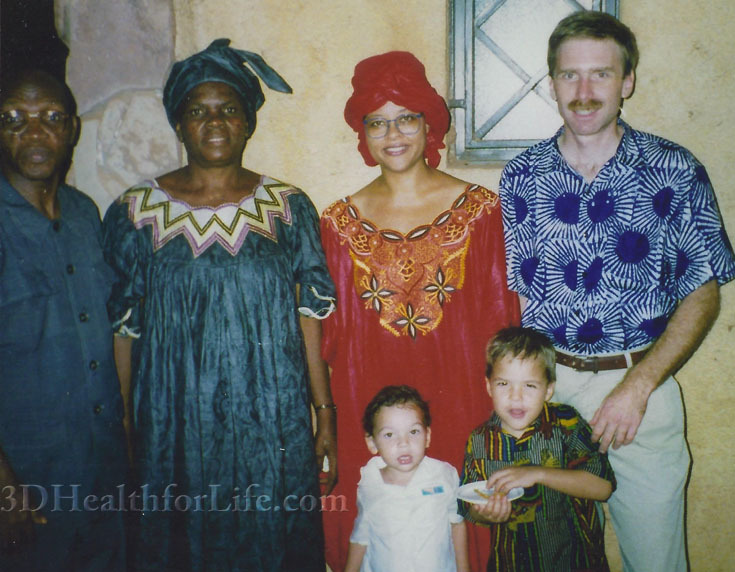 I was thinking back to the 6 years our family spent living in Bamako, Mali, West Africa. Greetings were a big thing. Your ability to greet properly set the tone for every other aspect of your relationship with someone. If you went down the street to the corner store, you were obligated to greet pretty much everyone along the way. When you got to the store, you had to properly greet the shopkeeper before asking for a package of vanilla sugar, margarine, pins, or whatever you went there to buy. If you failed to greet properly, you could be seen as rude, unfriendly, or uncaring. “I ni sógóma,” Good morning, you would begin, when addressing someone who was alone. The usual response from another woman (yes, how you respond is gender specific) would be, “nse i ni sógóma.” You would then ask, “how are you?” to which she would respond with “no trouble here” or “fine.” So far it’s pretty much the same as here in America. But if this is a casual acquaintance you aren’t done yet. You must also ask, “How is your father,” “How is your mother,” “ How are your children [ or siblings],” and then they repeat this whole set of questions back to you for your responses. This is pretty much the minimum set of questions that would be considered respectful for a brief encounter. On the other hand, if you know this person well, you must extend the greetings in proportion to the depth of your relationship to them. The closer they are, or the more respect you wish to show, the longer the greetings. They can go on for up to 5 minutes and include inquiries such as, “How did you sleep?,” “Are you well?,” “How is your grandfather?,” “How is your grandmother?,” “how is the household?,” “Is anyone sick?,” “How is your oldest sister?,” “How is your youngest brother?,” “Are you in good health?,” and so on. As I was reading the Bible story of Joseph, it struck me that this greeting pattern probably goes back a very long ways in history. You might remember how Joseph’s brothers sold him into slavery in Egypt and that years later, when he was 2nd in command in the land, they came begging for food. When he finally revealed himself to them he quickly started asking questions about the family. Today I’m blogging, on the road, from Thompsonville, Illinois, population 600 (at least according to the sign as you come into “town”). Believe it or not, this little town hosts an amazing Christian TV network that reaches every inhabited continent on this earth. Yes, 3 Angels Broadcasting Network (3ABN) is what I’m referring to and what brings me to this part of the midwest. I’ve been invited to present on the cooking show for their flagship program 3ABN Today and it’s been quite an adventure and learning experience being here for filming. My first invitation to participate with them involved filming several programs at the end of last year (more about them later) and now I’m back to do a few more! 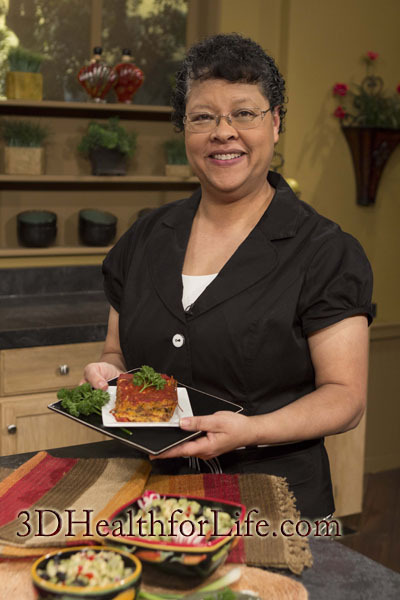 They film for the Spanish language network, 3ABN Latino, here as well and so I’ve found myself doing programs in both languages with the goal of encouraging healthy eating choices and showing how to prepare plant-based dishes that are simple but tasty. Three of the most important things to do are organize, organize, and organize some more! It’s a good thing I like to work off lists! The quality of your helper(s) will make or break your ability to focus on the task of demonstrating the preparation of your food. I am so thankful for an excellent assistant in the kitchen and on the set that is able to keep things prepared ahead, keeps the dishes washed, the food organized, sets up trays for each dish, and has an eye for beauty. Use a spreadsheet to organize your shopping list – it can get cumbersome to keep track of how many tomatoes or onions you need to buy for the 11 different recipes you plan to prepare when you need to make 2 or 3 batches of each recipe. It’s also very inconvenient to run out of things like salt or oil because you didn’t realize it would take more than a box of salt or medium bottle of oil to prepare all the food needed for a particular show. Makeup artists are just that – Artists, with a capital A. Had my face airbrushed for the first time in my life today! My artist used an air powered liquid makeup nozzle that makes your face feel cool under the light breeze it creates and really does the job right. I must say that 3ABN has some real experts in this department and I so appreciate their skill. I’d like to share with you one of the recipes that was a real hit with the crew (yes, they get to eat the goods when they finish filming the program – what a perk!) on my first visit here last December. It was a simple, healthy dessert called Fruity Chews. Grind the dried fruits and nuts together through a food processor or meat grinder. Mix in the salt by hand. 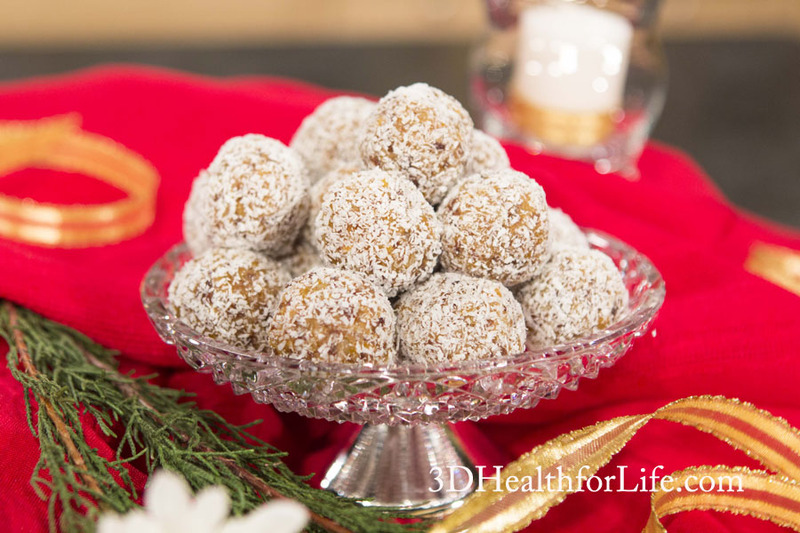 Shape into cherry-sized balls or little logs and roll in the coconut. Store in a covered container in the refrigerator until served. Note: any combination of dried fruits may be used.